Whether you are a farmer, a commercial grain operator or a contractor, your needs are the same – proven solutions from a partner you can depend on. Increase your productivity and profitability with industry-leading solutions from GSI. 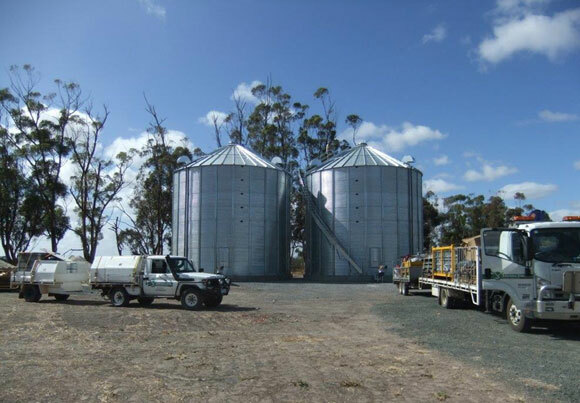 Australian GSI partners Keoghs offer experience and local knowledge in silos and grain handling installation, helping you achieve a storage solution matched to your enterprise and constructed in accordance with GSI quality, local regulations and industry best practice. Complex consists of 12” chain loop to fill GSI silos fitted with full floor aeration and drying heaters. The chain loop allows fast and flexible loading of trucks from any silo and fast loading into the drive over pit. 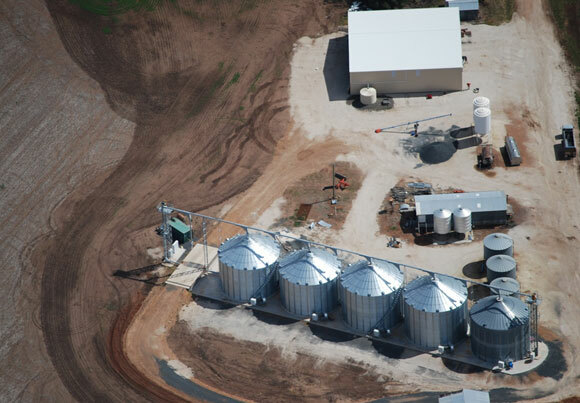 The on farm storage allowed for a greater harvest efficiency, with no waiting at local receval depots meant the crop was harvested in record time before any product damage or downgrade could occur. In addition to cheaper of-peak freight rates and improved grain prices were able to be taken full advantage during the year. GSI is a brand of AGCO Corporation, a global power in Agriculture, manufacturing and technology. 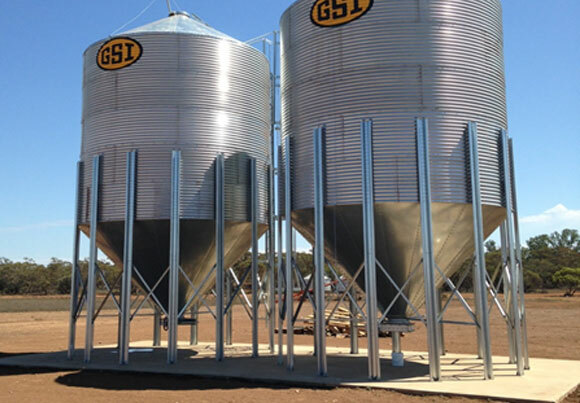 2x 36ft 8 ring Silos with capacity of approx. 2000mt. each. These silos are equipped with aeration via V-trench ducting to maintain product quality by reducing temperature and moisture which is especially important for the specialty crops. The spiral staircase for easy access to the roof for grain monitoring ensured this was in fact the case. Silos used for storage of seed with easy to access remote roof caps for easy loading. 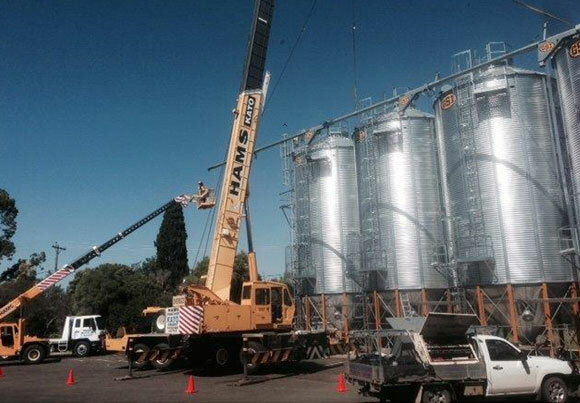 The high quality sealed silos gave peace of mind to ensure the best of germination rates the following season. Want more information about GSI in Australia. 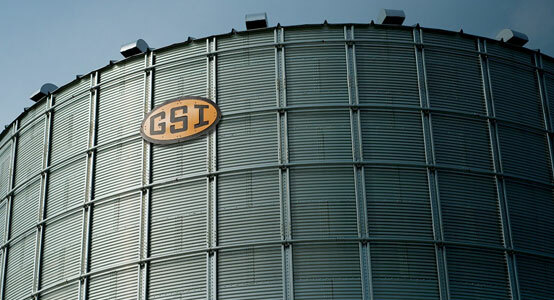 Enter your detail and a GSI grain systems specialist will contact you to discuss you storage requirements.